I noticed a few months back that Milestone were running a very similar supercross layout to the 2012 San Diego track. Jlv gave me permission to use his track as a base to turn it into Milestone so here it is. I'll be releasing 2 more versions a some point in the coming weeks with some changes here and there as Milestone are always modifying the layout. Are you gunna make the MX track too?!?!?! CR250R wrote: Are you gunna make the MX track too?!?!?! Nope, not making the mx track. Thank you so much! Milestone is a local track for me! timing gate isnt right.. can you fix it plz? yea its not counting my laps. hey whatever happened to honda test track guy. You should get that done too! Great job. Finally having some fun on a SX track. Download this and replace the timing gate file in the track folder with this one. I'm not sure exactly what happend but some time between editing the timing gate file a few weeks ago and uploading it yesterday a load of the numbers in the firstlap and normallap bit had 1000 added on to the front of them. When I tested it out quickly before I uploaded it, it was logging the laps and lap times so I just assumed it was working, I didnt notice that it wasnt doing it properly. barrington314 wrote: hey whatever happened to honda test track guy. You should get that done too! It's probably never going to happen, I cant be bothered trying to do the environment for it. Speaking of which, whatever happened to the Kawasaki test track guy? The terrain was Jlvs so it only had a certain amount of space around the track so I just roughly lined up a satellite image of milestone over the top and made the sections of track that fitted on to the terrain. I could have made the terrain bigger to be able to fit the whole mini track on but I couldnt really be bothered especially considering this wasnt completely my own track. Track is sick, great job Buddy.! 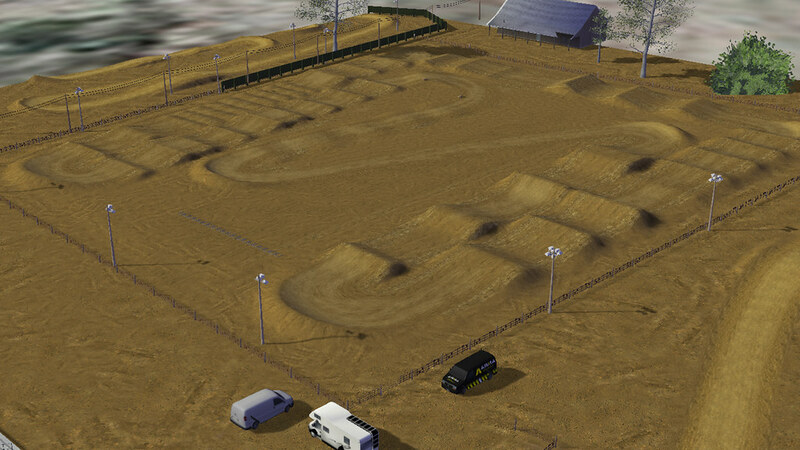 I could attempt to make the mx track if Buddy sent me the file for it.